- Louise Kane, Nathan Waddell, and Zoe Gosling, 'Editorial', n.p. - David A. Wragg, 'Enemy of the Stars: Interpreting Pathological Modernity', 1-33. - Edward Chaney, 'Lewis and the Men of 1938: Graham Bell, Kenneth Clark, Read, Reitlinger, Rothenstein and the Mysterious Mr Macleod: A Discursive Tribute to John and Harriet Cullis', 34-147. - Jamie Wood, '"A Third Method": Lewis and Sympathy in the Aftermath of War', 148-74. - Andrew Johnson, 'An Analysis of The Crowd (1914-15): Wyndham Lewis's Vorticism and its Art-Historical Antecedents', 175-93. - Jaron Murphy, 'Passion and Imagination: Yeats's "Fundamental Agreement" with Lewis at Phase 9 in the Great Wheel of A Vision', 194-201. - Zoe Gosling, Review of Katherine Ebury, Modernism and Cosmology, 202-5. - Heather Fielding, Review of Andrzej Gąsiorek and Nathan Waddell (eds), Wyndham Lewis: A Critical Guide / Tyrus Miller (ed. 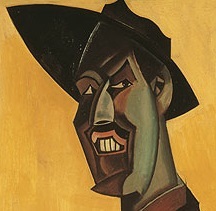 ), The Cambridge Companion to Wyndham Lewis, 205-12.